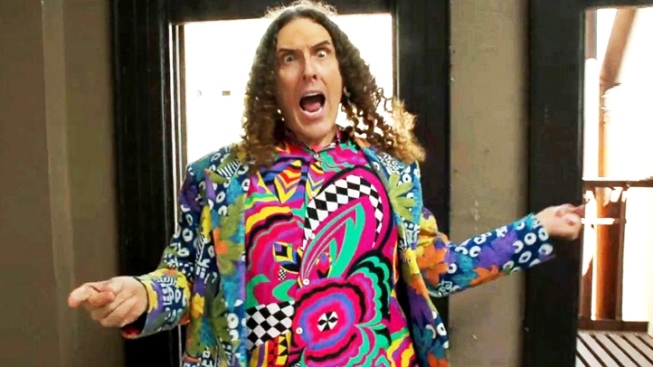 Want to see Weird Al Yankovic headline as next year's Super Bowl Halftime Show performer? Well, you're not alone! A petition to get the hilarious singer named as the main act has made its way to Change.org and, as of Thursday afternoon, has more than 70,000 signatures. Ed Ball, the creator of the petition, is asking the NFL to call on Yankovic as the performer. "For decades Weird Al has entertained fans, young and old, with his popular clever parodies and unique sense of humor. Having him headline the Super Bowl XLIX Halftime Show. would not only be overly accepted by the millions of views, but it would remain true to the standards and quality of the show business we have come to love and respect out of this prestigious event," Ball writes. "The songs of artists that he is parodying could join him on stage to accompany, as well as other surprise appearances from well-known actors/actresses, adding more prestige and star power. The theatrics alone would be hilarious and a welcoming change, and draw a wider audience of fans that typically would not tune into the championship game or half-time show." The 54-year-old singer is definitely in the midst of a career high right now. His latest album, Mandatory Fun, just debuted on the top of the Billboard music charts – a first for Yankovic. "It's still hard for me to wrap my head around that," Yankovic said in a recent interview. "It means a lot to me." Weird Al Parodies "Happy" and "Blurred Lines"